I think of you every day. Love Always God. All gifts, regardless of size or form, are significant. The Louisville United Methodist Church is a non-profit, charitable, religious, tax-exempt entity which can receive and invest contributions as an endowment to benefit Louisville United Methodist Church. Gifts may be received as current payments, or may be deferred until some future date or event. The income of the Foundation of your choosing is made available for capital improvements and repairs to our Church properties. The expenditures are formally recommended to the Church Board of Trustees. The Foundation Funds are governed by an eight member Board of Trustees who is duly elected in the same manner as other Church officers. Copies of the various Foundation governing instruments are available for review upon request. Louisville United Methodist Church is blessed with spacious facilities which are both architecturally and historically significant. These facilities require committed stewardship on our part in the form of preventative maintenance and repair. Gifts to the various Foundations will serve the needs and ministries of the church during our lifetime, as well as for future generations of Louisville United Methodist Church. Contributions can be made to the Foundations through various forms of charitable giving: gifts of cash, securities, or other real or personal property. Other options of gift giving and potential tax and estate benefits include the following: Bequests, Charitable Gift Annuity, Life Insurance, Charitable Lead Trust, Charitable Remainder Trust, and Retirement Plans. 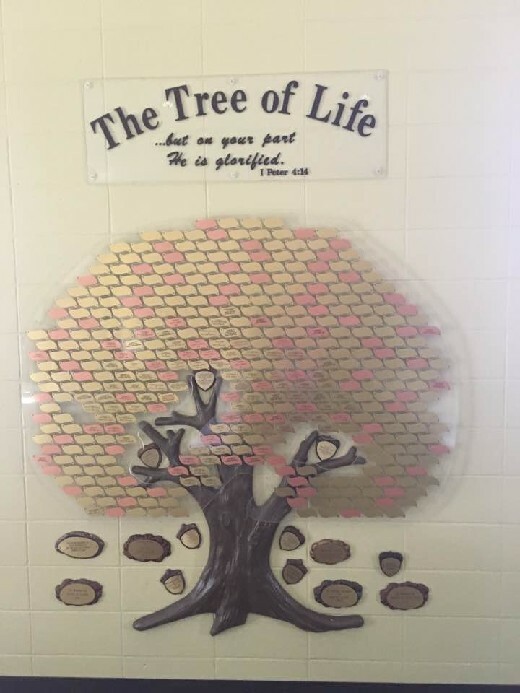 The Glory of God /Tree of Life fund has a tree located in the fellowship hall. Friends and family of Louisville can commemorate loved ones on a leaf on the tree. The cost is 100 dollars. The interest on the money can be designated to be use in Music Ministry, Children's Ministry or the Building Fund. The Glory of God fund is held in trust at local banks in the form of CD's. If you need additional information, please contact a Trustee or the Senior Minister of Louisville United Methodist Church.